Represented in Congress by Rep. Nancy Pelosi (D-Calif.) and run for years by almost all Democrats, San Francisco should be a mecca for the left. But the city is fast becoming one of the worst places in the U.S. to live. The homeless problem is out of control. Experts say it “could exceed some of the dirtiest slums in the world.” There are around 7,500 homeless people in the city. Human feces is strewn across public areas. The NBC Bay Area Investigative Unit examined over 150 blocks of downtown San Francisco and found 96 blocks littered with feces. San Francisco’s new mayor, London Breed, observed, “there are more feces on the sidewalks than I’ve ever seen growing up here.” She says that a cleaning crew will clean up an area, but “right after they leave, maybe an hour or two later, the place is filled with trash again." An anonymous woman took out an ad in The San Francisco Chronicle entitled “Watch your backs — nobody else is.” She accuses the city of being negligent in dealing with the homelessness crisis, and describes an incident where a homeless man menacingly carrying scissors left her feeling afraid while eating in a downtown cafe. A major medical conference is changing its venue to another city because past attendees are afraid to walk amid the open drug use, threatening behavior and mental illness on the streets. This will significantly affect the city, since tourism is its biggest industry. The doctors’ conference generates $40 million from its 15,000 attendees. The problem arose because the government has looked the other way at the homeless for years. Instead of cleaning up homeless encampments, the city let them exist and expand until recently. The city has even encouraged the homeless to continue living this way by providing free needles for drugs. This mindset is all part of the Democrats’ nonjudgmental-ness. 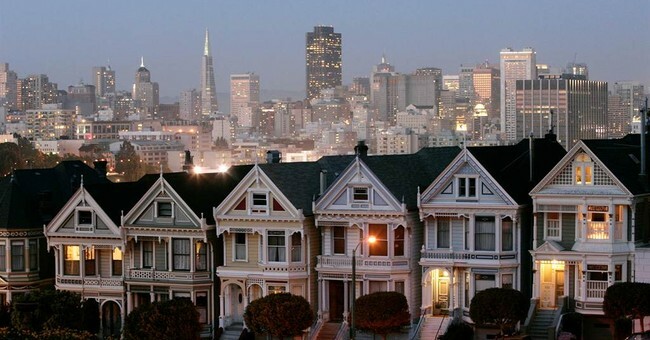 And what’s happened to the “ticky-tacky” houses that “all just look the same,” so despised by Pete Seeger in the 1962 song “Little Boxes?” Despite the fact that many of the homes and apartments are small and located close together, San Francisco now has the highest rent in the world. The average monthly rent is $3,500. A median-priced home sells for $1.5 million, but only a paltry 12 percent of residents can afford this. Some people live in RVs because it is all they can afford. Residents are leaving the city in droves due to the high cost of housing. San Francisco lost more residents than any other U.S. city in the last quarter of 2017. Onerous zoning regulations and building codes have increased the cost of housing. Height restrictions waste valuable space. In much of the city, it is illegal to build anything taller than 40 feet. One resident built a “pod” in his friend’s living room in order to obtain affordable rent, but the city found out and made him move out. Due to the high cost of living, a family making $117,400 annually is considered “low income.” A family making $73,300 is “very low income.” The minimum wage is $15 an hour, but it’s not enough to rent a two-bedroom apartment. In order to live comfortably in San Francisco, an annual salary must be at least $110,000. San Francisco ranks fifth in the world for worst traffic congestion. One commuter observed, “It’s almost unbearable. And it doesn’t matter what time of day or what day of the week. It’s just unbearable." Traffic during rush hour is even more congested than in Los Angeles. Years of putting transportation dollars into mass transit instead of the highways has resulted in a lopsided situation for drivers. Democrats thought by neglecting the highways they could force people into mass transit, but like most Democrats’ delusional ideals it doesn’t work. This doesn’t even touch on the permissiveness of the sanctuary city policy. There seems to be no end in sight to the misery as long as the Democratic machine stays in power. The flight out of the city is only going to accelerate. The differences between the haves in the red areas of the country and the have-nots in the blue areas like San Francisco will continue to widen.